A business assessment is a crucial aspect of understanding what your business plan should look like, what’s working the way it should, and what isn’t. A business assessment works similar to a blueprint for the design of, say, a car that you are trying to develop. Although you are already familiar with its make, mileage, and model, you probably can’t remember the exact diameter of each of its hoses. The same goes for your business. You may also see assessment plan examples. If you happen to make the mistake of installing a hose that is not the exact fit for your car, it will come screeching to a halt, and we all know that there are about a hundred hoses in varying sizes. So much can happen and so many decisions need to be made on a monthly business. Without a business assessment, it can be extremely difficult for business owners to remember all of the details that can make a huge difference in their operations. 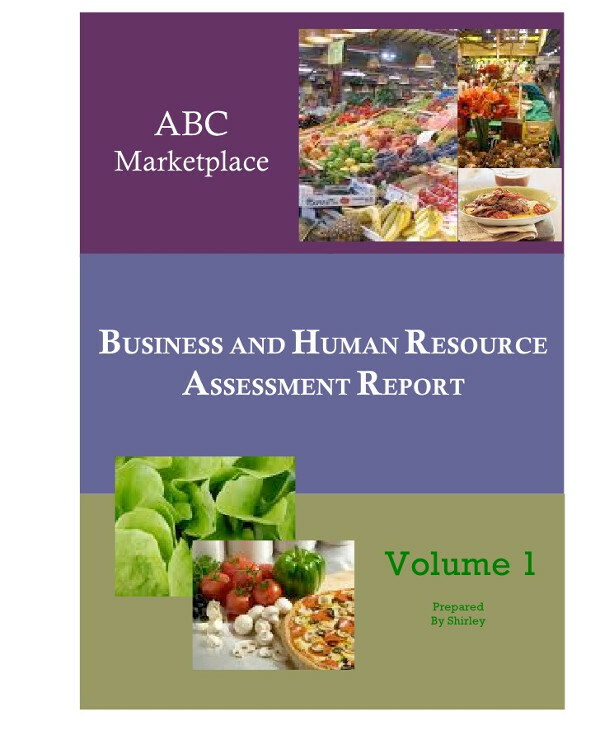 You may also see business needs assessment survey examples. If you have a vision for your business but don’t know where to start when it comes to figuring out a strategic plan for growth, it’s probably time for a business assessment. You can start from there in building out your strategic plan and outline specific goals, as well as outline how you’re going to achieve them. A business assessment is a systemized, procedural analysis and reporting of key performance indicators that can accurately communicate your current reality, opportunities, and the gaps in between. In short, it’s a trip to the doctor of a checkup of your business. You may also see career assessment examples. Financial analysis is only one component of a proper business assessment. It’s a necessary ingredient, but only one of many. A financial assessment is something you should conduct monthly, and most organizations do so in the course of their normal accounting functionality. A good grasp of your P&L statements, income statements, cash flows, balance sheets is vital for the health of your business and reflective of your current state, but it is only a tiny fragment of a much bigger picture. A good business assessment will ask you for some financial information, but it should account for no more than 30% of the information gathered. Although conducting a frequent review of your marketing KPIs is part of the assessment process, it’s far from making up the whole process. Don’t mistake it for anything holistic or comprehensive in regards to your overall business assessment. You may also see performance assessment examples. 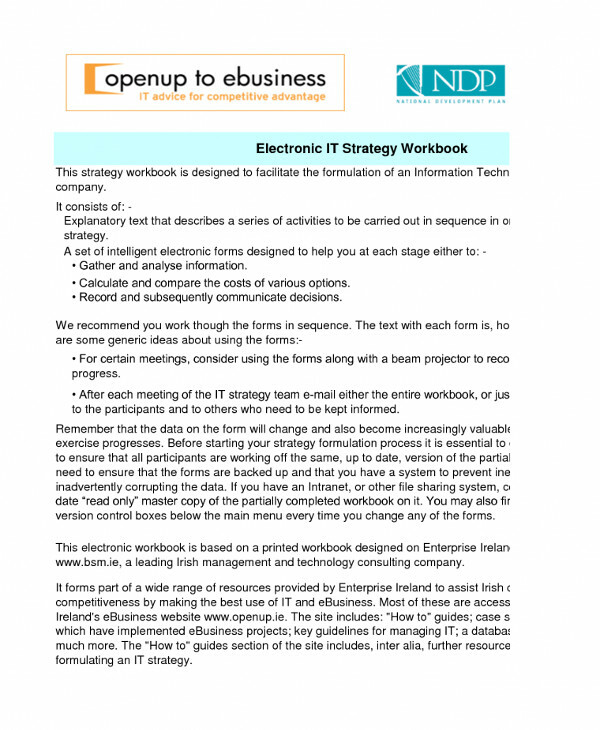 Tactics are the actual individual tools, systems, or processes that you are using to operate your business. They are the tasks within a functional area that you use to complete or achieve a certain goal. But tactical assessment is not business assessment. No one tactic or functional area, regardless of how important an element it is, is the sum of your business. You may also see self-assessment examples. Although you still shouldn’t completely throw out the tactical analysis out or ignore it completely in the course of conducting a business assessment. After all, an underperforming tactic or overly consumptive tactic may be the key to understanding any gap, but don’t forget to keep your eye on the holistic state, not only on one functional tactical area. You may also see project assessment examples. Although this one is a bit ubiquitous, it remains to be one of the most sacred and respected assessments in the industry. Needless to say, it’s a favorite of business school types since it breaks down the whole company’s assets, tangible and intangible, into more digestible sizes. The company’s Strengths, Weaknesses, Opportunities, Threats, and Trends can give you a comprehensive reality check around the business’s current state. You may also see assessment questionnaire examples. This aspect of the analysis will look at the company’s most essential aspect: it’s abilities. What is the company good at? Does it have a strong market share? Or perhaps a great engineering team? Maybe it can boast of a lot of cash on hand? Does your leadership have a lot of energy? Is corporate morale high? Is your communication infrastructure system better than your competitor’s? All of these factors are things that you should list as a part of the assessment, but make sure you don’t keep fixated on the obvious ones. Odd things can make a huge difference in a competitive landscape, so be sure to reach deep. Don’t be afraid to list things that people might consider irrelevant or silly. Make a full catalog of your arsenal because each one is important if you want to win this war. You may also see technology assessment examples. Understanding where your weak points lie is also a sign of strength, which is why it is important that you also list things like inferior product specs, less funding, or bad positioning, and it’s important to think outside of the norm a bit when doing this. You may also see skills assessment tips. The trick to this is to consider your debts, and not your financial debts, although those should definitely be considered in your business assessment as well. But try to focus on functional debts for this. A few examples of functional debts are these cases: if your network infrastructure has not been updated in five years, then you probably have some technological debts that you need to address immediately. If you haven’t updated your product in three years, then you have an innovative debt. If you’re just lost key engineers, designers, or marketers, then you may have high intellectual debt. You may also see basic skills assessment examples. You must remember that weaknesses and threats can be interchanged to some degree. The fundamental difference is, a threat is something that can drastically affect your business in the short term. However, a weakness is something that is detrimental to your profitability over a longer time frame. Both should be addressed, but their impact and prioritization should be vastly different. 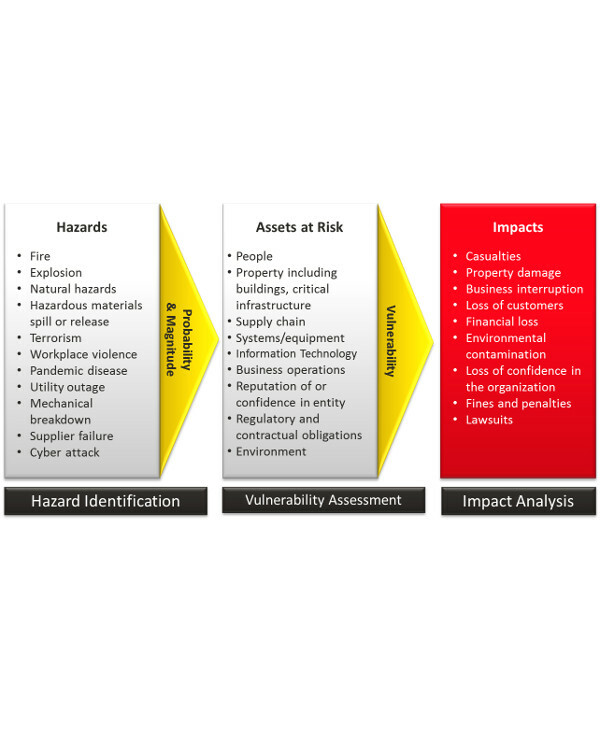 You may also see security assessment examples. Your best shot for growth over the next 2 years lie in the opportunities that have presented themselves to your company. Are you close to releasing an updated product that will change the game or diversify your offering? Has a recent sale opened up a new market? Did you have the opportunity to collaborate with a new partner? Opportunities can range from the painfully obvious, such as buying a competitor or seeking a new investment, to the surprisingly mundane, such as hiring a new distribution manager or reducing costs in a specific functional area. 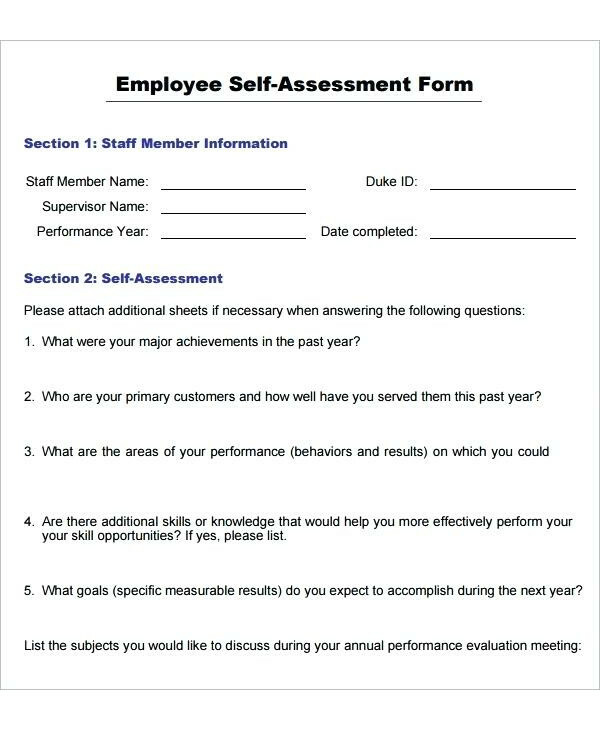 You may also see workplace assessment examples. But make sure you don’t make the mistake of treating your opportunities as if they are a wish list. These things aren’t your goals. Sure, you’d love the opportunity to grow your sales by another half, but does that correspond to a path that you can take right now? In your business assessment, you might want to include the real opportunities, the actual on-the-table choices that are available to your organization right now or in the very near future, those that are actually knocking on your door, not the ones you are yet to force to come to you. You may also see health assessment examples. Threats are the things in your business that should be keeping you up all night. These are your business’s greatest nightmares, they are the immediate dangers to your viability that you need to counter in the short term. A lot of business owners spend much of their time thinking about the threats to their company’s current state, and rightly so. You may also see IT assessment examples. In making your business assessment, there are a few threats you need to consider: new competitors, shrinking market share, poor financial performance in recent quarters. But aside from these blatantly obvious ones, try to look outside the box a bit. Has the competitor recently completed a successful fundraising? Is there a current litigation that could affect your space? Is a key supplier faltering? Try and stay focused on the immediate future while doing this part of your SWOT analysis. Threats are the entire reason why industry associations exist. If you don’t have a good visibility on threats to your company, industry or vertical, grabbing an association magazine or paying your dues might provide you with some helpful insight. This one is only a recent addition to the holy quintuple of SWOT, but it’s already proving itself to be as useful as all the others. Trends is a factor that you should definitely consider as a part of your business assessment. You may also see career assessment examples. Is there a movement toward a different style or product that you should definitely get in on? Is there an unexpected backlash to an emerging technology? Is there an increasing outcry against the use of one of your key components? Is there an emerging design platform you can use to streamline productivity? Is there growing concerns about a problem your product can address? Understanding and identifying these trends will help you make sure that you are not left in the dark by anything that the current market is obsessed with. However, you must not look at these trends as either positive or negative. Trends are just that—things that are currently in. 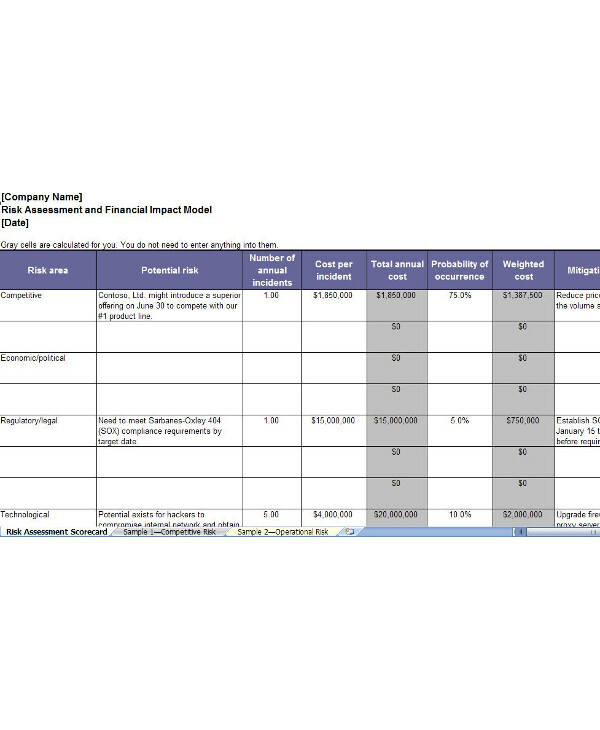 You may also see project assessment examples. On the total opposite of the spectrum from the 5-layered SWOT, we have the GPCT which stands for Goals, Plans, Challenges, and Timeline. This structure is typically used by sales teams as an enhancement on BANT (or Budget, Authority, Needs, Timeline), but it has crept into other functional areas because of its very logical structure. You may also see free needs assessment examples. GPCT is a fast check that can be conducted on an almost weekly basis, but it still requires some thought and analysis to make sure that your scope is not drifting off target. With only four important points to assess, this is a probable favorite for those of you with time constraints (which is basically all of us). Goals are simply what you are hoping to accomplish. They are your benchmarks that are the key to a better state of being for your business within the next 24 months. Also, make sure that the goals you are listing are SMART (Specific, Measurable, Achievable, Relevant, and Timely). Be careful not to get too overboard on this. This very condensed business assessment loses efficacy if you go over four goals because you still have to address the challenges, plans, and timelines for each. 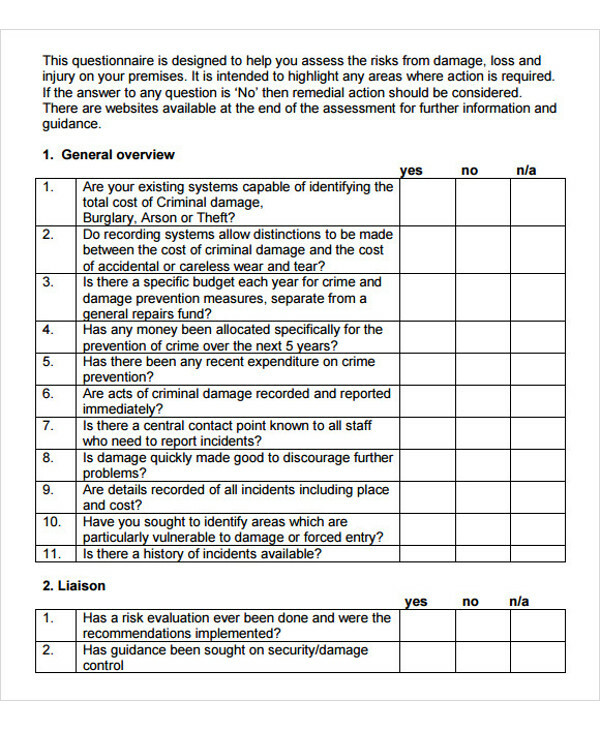 You may also see job risk assessment examples. This will address how you are going to reach your goals. “Winging it,” although heavenly adventurous, will not give you the assurance of a successful ending, and failure is the last thing you want on your plate. Try to stick to one plan per goal. Yes, there is more than one way to do it, but in business, it’s always best to keep them consolidated. 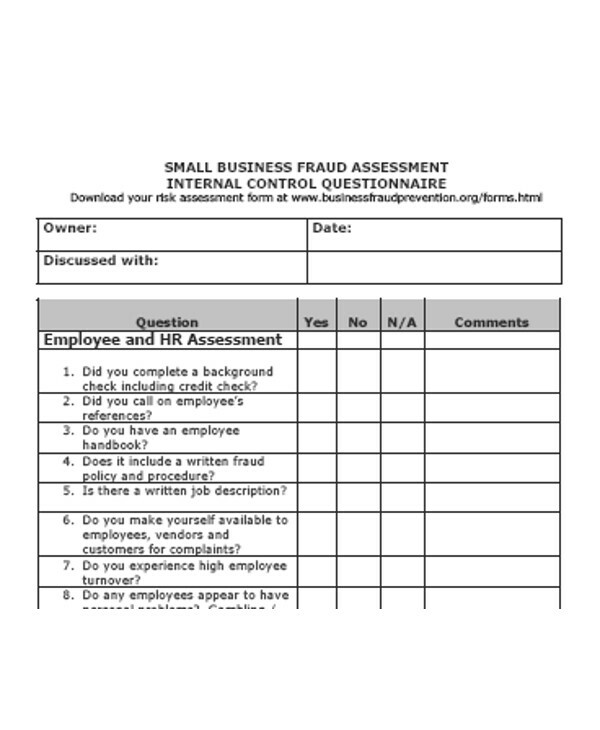 You may also see workplace assessment examples. Challenges are the annoying little things that can either make the path toward the finish line extra difficult or, worse, it can keep you from actually getting there. Make sure that you note that there may be more than one challenge per goal. 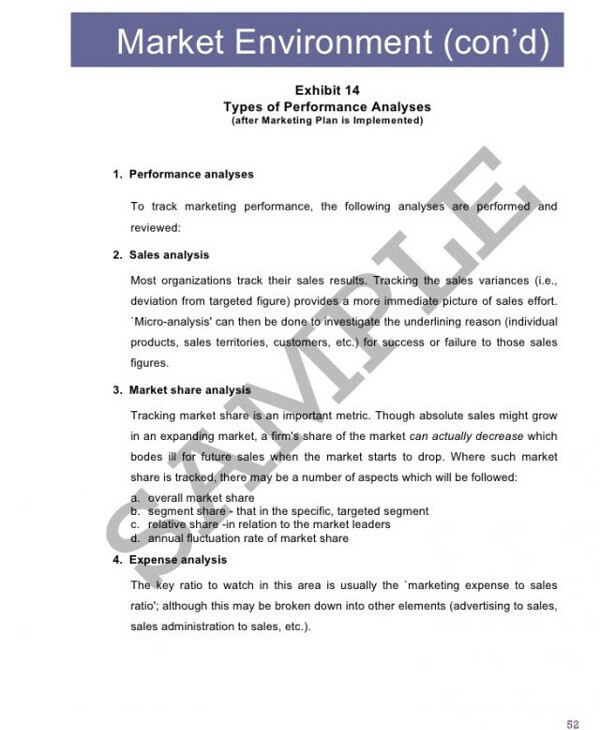 You may also see purchase manager self-assessment examples. Determine the length of time you need to achieve your goals. Specificity is your best friend here, so simply stating that you’ll achieve your goals “by next year” is not going to be enough. It’s not called a due date, it’s called a timeline, which means that having an idea of what happens, when, on the way to your goal is vital. At least try to note a few realistic milestones. GPCT covers a lot of ground quickly, and it does a great job with the whats, when, and hows. 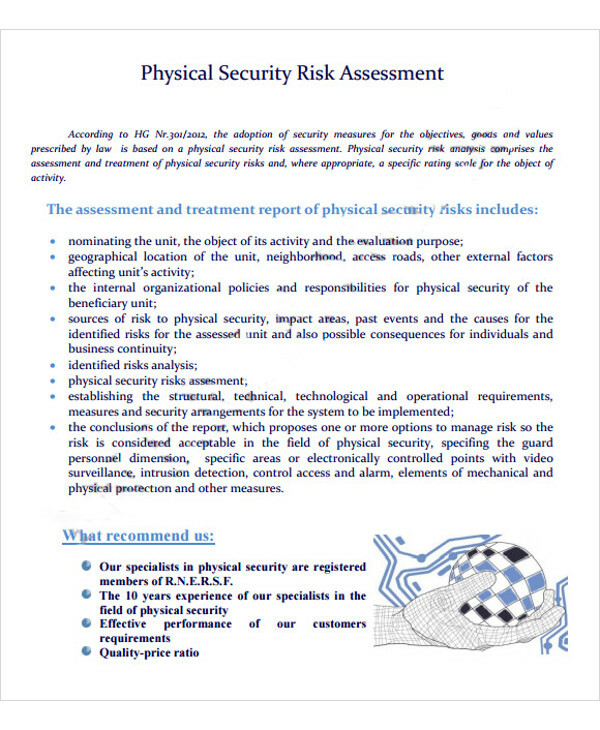 You may also see security assessment examples. There is more to business assessments than meets the eye. Most businessmen would summarize it to simply pointing out what’s wrong with a business, but it’s actually more than that. It’s a tool that can help identify opportunities to grow your business. It gives you clarity, helps you learn, allows you to plan, and promotes strategic use of your time. It’s more than useful, it’s a necessity. You may also see nursing assessment examples.